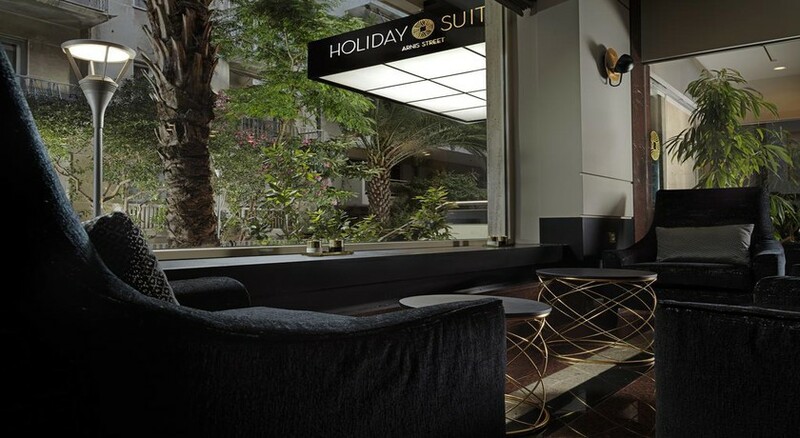 Within a few minutes from the business and historical centre of Athens, this elegant boutique hotel is ideally situated. This hotel is situated near 2 main roads in Athens city centre and next to transport stops, facilitating guests in their travels to ancient sites, commercial centres and beaches. It is also convenient for Athens International Airport and Piraeus Port. All suites are air conditioned and include a spacious living room and a comfortable bedroom as well as internet access, double glazing and the listed amenities. The highly-experienced management and staff offer valuable services on a 24-hour basis, catering to its clients every need. The business centre and conference rooms are state-of-the-art venues for highly-organised meetings and events. 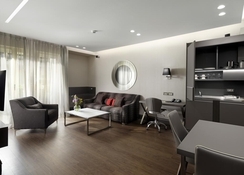 Guests of this hotel can also use the facilities in Crowne Plaza Athens City Centre, which is just a 2-minute walk from the suites. The city hotel was built in 2000 and completely renovated in 2001. It offers a total of 34 suites spread over 5 floors. The hotel's sizeable lobby contains lifts, safes, a currency exchange desk and a 24-hour reception. In addition, there is Internet access, room and laundry service as well as parking facilities.